Cephalonia Botanica was established in 1998 at the initiative of the Focas-Cosmetatos Foundation. Its original aims were the preservation and display of the wild and endemic plants of Cephalonia and the promotion of environmental issues. Cephalonia Botanica is situated two klm from the centre of Argostoli and today covers 10,000 of the 28,000 sq.m terrain. 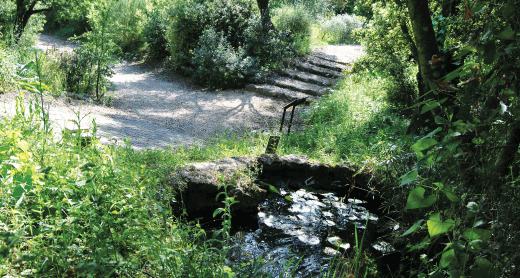 The need to create an educational botanic garden emerged from the fact that, though Greece has the richest and most varied flora in Europe, very few botanic gardens-research centres are located in the country. The Greek flora is under threat from summer fires, urban development, overgrazing and tourism. It is imperative to learn how to preserve plant populations and how to use them in context of sustainable development. Cephalonia Botanica – which is running field environmental programmes for kindergarten and primary school children – aims to raise public awareness of problems relating to the environment and its protection. Looking to secure the necessary financial support, Cephalonia Botanica will develop the appropriate infrastructure for the promotion of scientific research in the field of Botany at national and international level, through various collaborations and the exchange of scientific personnel. Human intervention on the site was initially confined to the preservation of existing plants by the removal of dead branches, weeds etc., the tracing of paths and the creation of a watercourse. Several herbs were planted in a specific area, subsequently enriched by various Ionian wild plants. Gradually the site will develop plant habitats such as forest, maquis, phrygana, grassland, which will include special plant collections according to their use in medicine, cooking, floriculture etc. Thus, Cephalonia Botanica will present “Edible Plants”, “Aromatic Plants”, “Plants in Mythology”, “Plants in Folklore” and other plant collections, which the visitor will be able to access through specific routes. The aim is to preserve, educate and at the same time delight the visitor. 2008 saw the creation of a man-made small lake holding 500 cu.m. of water. This water resource, featuring Mediterranean water plants and mosquito-control fish, extends and enriches the area open to visitors, and adds to the content of the environmental educational activities. It also acts as a valuable reservoir in the event of a brush fire. 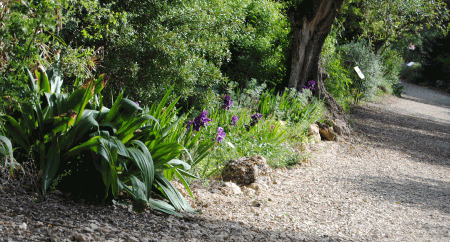 From its inception, Cephalonia Botanica has gained international recognition as a Botanic Garden and is now a member of BGCI (Botanic Gardens Conservation International) and IPEN (International Plant Exchange Network). It also developed collaborations with large Botanic Gardens in Southern England, notably the Sir Harold Hillier Gardens and Arboretum, where personnel from Cephalonia Botanica was trained to develop environmental programmes for kindergarten and primary school children. 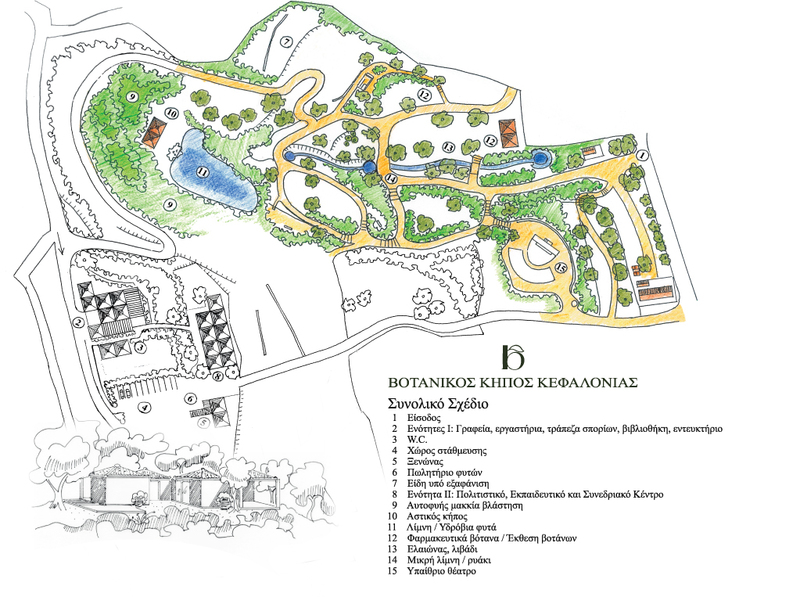 Cephalonia Botanica has also been exchanging knowhow with the Botanical Garden of Wales on issues concerning the organization and management of a newly established Botanic Garden. Since 2005, Cephalonia Botanica has been hosting annually students from INSA (Institut National des Sciences Appliquées Centre Val de Loire) for practical training. Finally, Cephalonia Botanica has sought expertise and training from the Millennium Seed Bank at Wakehurst Place, Sussex for a Seed and Bulb Bank to cover Cephalonia's indigenous plants. In Greece, it has collaborated with EKEK TAKI (Centre for Professional Training of the Prefecture of Cephalonia and Ithaca) on environmental and cultural issues. Crucially, it is currently collaborating with N.AG.RE.F. (National Agricultural Research Foundation) in Thessaloniki and the Balkan Botanic Garden of Kroussia (ΒΒΚΚ), receiving scientific support and guidance from Dr. Eleni Maloupa, researcher and Head of ΒΒΚΚ. Rare and endemic plants collected in Cephalonia by a team under the supervision of Dr. N. Krigas, associate Plant Taxonomist of the Balkan Botanic Garden of Kroussia, are continuously being added to the garden of Cephalonia Botanica. The seeds of the plants are taxonomically certified and reproduced in the Laboratory of the National Agricultural Research Foundation for the Preservation and Evaluation of the Natural Cultivable Species in Thessaloniki. They are then returned to Cephalonia Botanica as plants with access number. In the context of this collaboration, Cephalonia Botanica is becoming a true Botanic Garden dedicated to the preservation of rare, endemic and endangered plants of the Ionian Islands. Cephalonia Botanica is a member of the National Network of Botanic Gardens of Greece, which includes gardens from Kroussia, Chios, Crete, Athens and Cephalonia. The Network will draw up a national action plan for the preservation of the Greek flora. In the context of this network, Cephalonia Botanica will cover the flora of the Ionian Islands, as well as the flora of Western Greece. A specialized research programme completed in 2006 concerned the systematic identification of wild and endemic plants on the grounds of Cephalonia Botanica itself. In the context of this programme, Biologist Parthenopi Parcharidou collected plant samples, photographed and dried them in order to be taxonomically identified by the National Agricultural Research Foundation and the Aristotelian University of Thessaloniki. These samples form the initial material of the Herbarium of Cephalonia Botanica and are the subject of a book, Ionian Flora, published in 2011 (see below “Publications”). 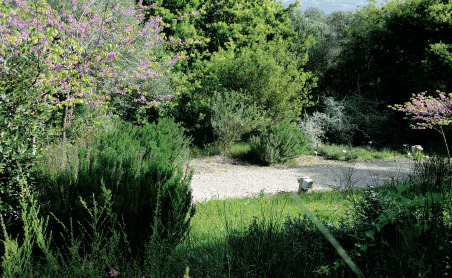 The Foundation will gradually develop the entire site, enriching the vegetation with more plant species and broadening the scientific activities of Cephalonia Botanica through the creation of an extensive Herbarium and a Seed and Bulb Bank, the protection of endangered species, and the exchange of scientific experts and personnel. The highest priority, therefore, is the construction of a building to house these activities, suitably equipped and furnished. 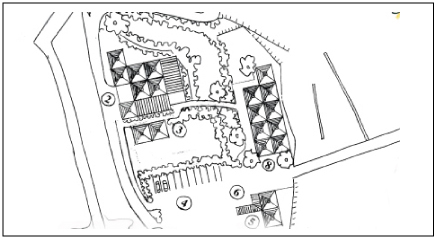 The planned multi-purpose structure will cover a minimum of 600 sq.m. and will include a lecture/exhibition hall, a library/herbarium, labs, a cafeteria/shop etc. 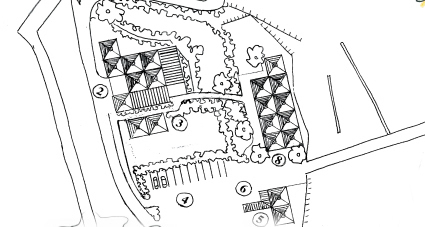 A new access to the Garden from the west is also being planned, allowing for ample parking space. Apart from the activities of Cephalonia Botanica itself, this building could offer conference facilities and could also host activities promoting the history and culture of Cephalonia and the Ionian Islands, which today can only take place in summer, in its open-air theatre. Ο Βοτανικός Κήπος Κεφαλονιάς είναι ανοιχτός για το κοινό από Μάιο έως Οκτώβριο ενώ κατά τους χειμερινούς μήνες κατόπιν επικοινωνίας με τη γραμματεία του Ιδρύματος Φωκά-Κοσμετάτου.